BitTorrent is slowly starting to take the wraps off its upcoming P2P chat initiative: The company started an invite-only pre-alpha test of a new Windows chat client dubbed “Bleep” on Wednesday, and it also revealed that it plans to make the underlying peer-to-peer technology available to other chat apps and messaging service providers as well. 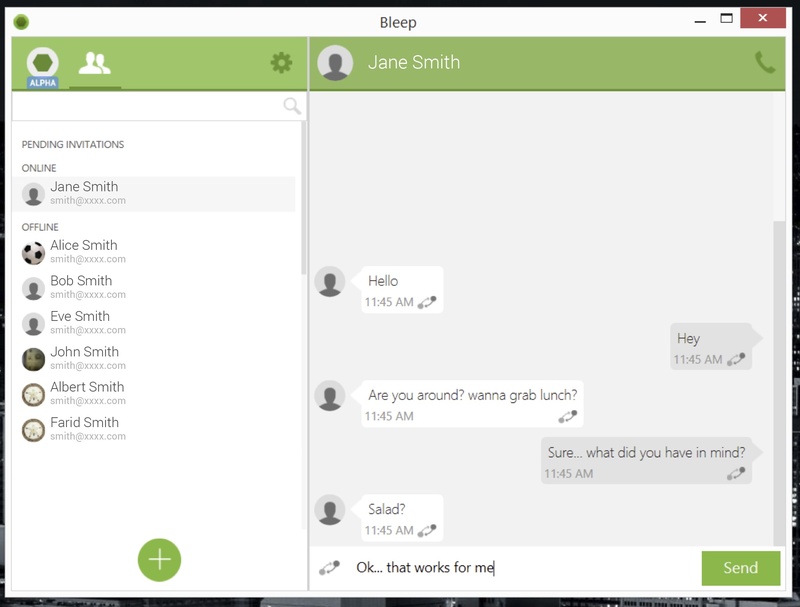 BitTorrent’s new Bleep chat client doesn’t rely on any central servers to find and manage contacts. Instead, the company is using Distributed Hash Tables, also known as DHT, which are basically decentralized sets of data that can be queried by any connected client. DHT have been in use by file sharing apps and other P2P-based clients for some time, but BitTorrent married the technology with SIP, a common standard for messaging and VOIP applications. The result is not only a decentralized architecture for Bleep, but also one that could be used by other SIP-compatible clients as well. “As long as the messaging application is using SIP it should be straight-forward, in theory, to switch over from a server-based client to our platform,” explained BitTorrent’s Director of Communications Christian Averill. The company hasn’t set a timetable for integrating third-party services, but Averill said it is open to talk to companies interested in using its P2P technology for messaging. Bleep isn’t the first attempt to decentralize chat. Skype (S MSFT) used to be entirely P2P-based, but has been changed in recent years to rely on a hybrid architecture that makes use of hosted servers for directory and lookup functionality. The Guardian reported last year that the NSA has the capability to collect audio and video data from Skype calls. cant re-dowload the app itself anywhere, so I cant put any code I got into any auth.-window. OK, but can the mobile app itself have backdoors? Skype was never entirely P2P, it required authentication by a login server. Bleep requires no such central authority or registry. Yup, just like Skype evolved from Kazaa. Can’t wait for these guys getting to that point. Skype had so many amazing features 6 years ago. All removed and long forgotten. Hope these guts won’t blow it the same way. BitTorrent, Inc should be commended for sticking to it’s core which is P2P. It is probably one of the most important companies that decentralize the web. Hopefully, they’ll publish a standard protocol for this P2P messaging app and also for their Sync application.